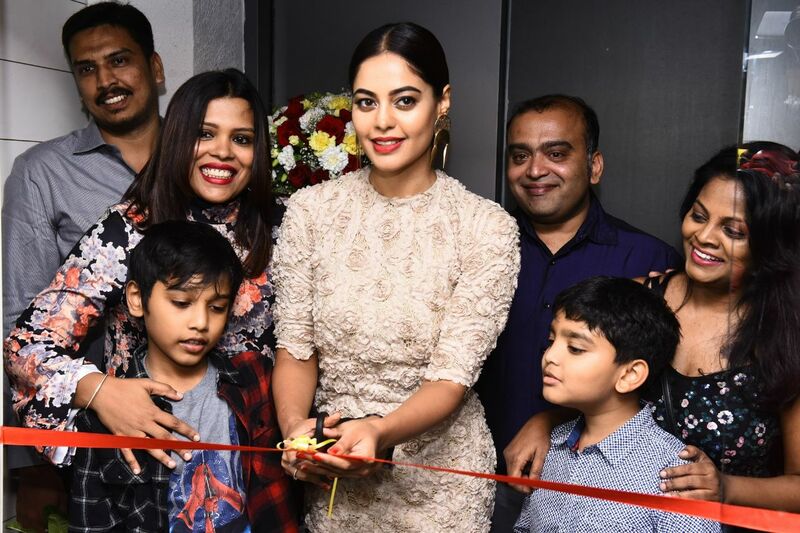 Actress Bindu Madhavi inaugurated the newest outlet of Salon Blow at Velachery on 21st December 2017. The salon is spread across 1800 sq.ft on one floor, and its location is apt for the tech-savvy urban crowd of Velachery. The new salon features a contemporary atmosphere and warm and friendly staff that is sure to make your visit a pleasant and memorable experience. The salon is designed by a renowned Architect from Delhi who has deep knowledge and experience in building customer friendly and cozy salons to suit their mood and make them wish they stayed a little longer. The comprehensive range of services include all hair services such as haircut, hair-colour, creative makeovers, keratin, bridal makeup services, and spa using the brands of L’Oreal, Schwarzkopf, Global Keratin, Skeyndor, Cuccio . We also offer a wide range of facials and massages to choose from and a host of manicures and pedicures too. The salon’s key selling points include our expertise in hair makeovers and bridal makeup that clients love and appreciate. Salon BLOW India is a unit of Vurve Signature Salon and is co-owned by Rebecca Samuel, Sushil Thomas, Manoj Samuel, and Sathya Sushil with over seven years of experience in salon industry set-up and handle the successful operations of 5 salons across Chennai, India. They are highly skilled professionals with a single goal of ‘Customer Service Excellence”. The team operates under the mission, "get in, get gorgeous, and get on with your life." Salon BLOW India is dedicated to consistently provide high customer satisfaction by rendering excellent service and quality products at an enjoyable atmosphere with an acceptable price and valued relationship. The brand is currently serving in OMR – Perungudi and Velachery locale.